Even though ’80s band the Dream Syndicate have been dormant for nearly 25 years since their breakup, the group’s music had recently been recognized in the press by Japandroids. One of the songs on Japandroids’ acclaimed 2012 record Celebration Rock, is “The Nights of Wine and Roses,” which is similarly named after the Dream Syndicate’s 1982 debut album, The Days of Wine and Roses. And they even invited Dream Syndicate founder and singer, Steve Wynn, to their show in Brooklyn, New York. Japandroids recent compliments seem serendipitous now as Wynn, who has maintained a lengthy and productive solo career, has revived his old band to coincide with the 30th anniversary of The Days of Wine and Roses. Consisting of founding members Wynn and drummer Dennis Duck, plus bassist Mark Walton and guitarist Jason Victor, the reunited Dream Syndicate kicked off the reunion last Friday, Sept. 21, in Spain. 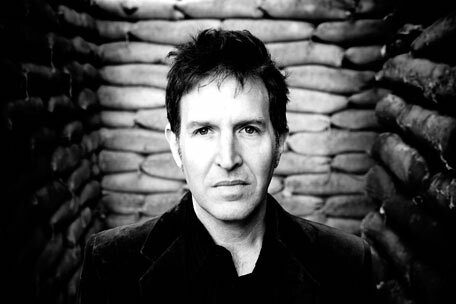 The Dream Syndicate were one of several bands to have emerged from the Paisley Underground scene in the early ’80s, drawing comparisons to the Velvet Underground. (Wynn maintains their influences also include Neil Young, Creedence Clearwater Revival, the Rolling Stones and Black Flag.) After 30 years, the album still sounds timeless as if it could have been recorded by any indie rock band today.